Tangled and True: simple steps for healthy living. 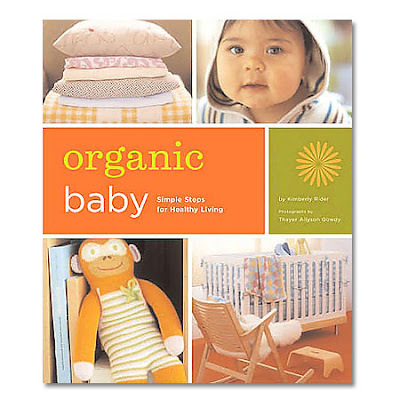 "Parents today are more aware of environmental issues than ever before, and understand the importance of living a healthy, eco-friendly existence - especially as they welcome their new bundle of joy into the world." This rings true for me, although I know that I have a lot to learn despite my effort to bring hormone free, chemical free and non-toxic into my home. I love that living an eco-friendly existence is no longer left for odd-balls, but rather anyone who really wants what is best for themselves and/or their family. Don't we all need a comprehensive guide that teaches us what is safe by offering organic solutions to everyday "problems!" This book seems like the perfect fit. Available at Babystyle and Amazon.com. I've seen this book at my Barnes and Noble! I loved flipping through the pages. It's a must and I actually think would be a great "decoration" book to have on the shelf too.